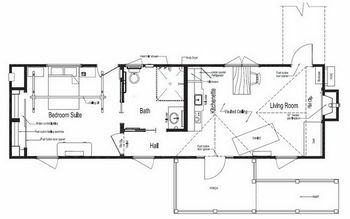 This is the largest modular eco-cottage offered. 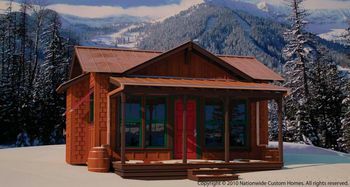 This model introduced ECO-Cottages at the 2010 International Builders Show in Las Vegas. 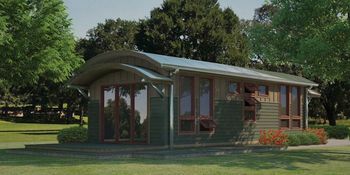 The eco-cottage comes with a unique roofline to allow tall windows for natural light. 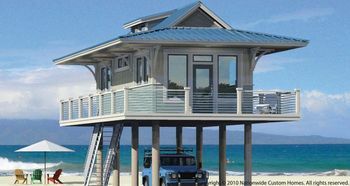 In addition, the model comes with a factory-installed porch.